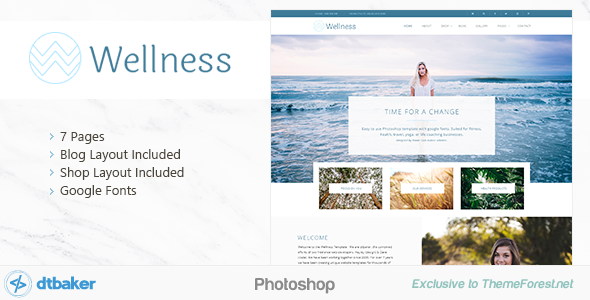 Wellness a clean and modern template suited to those in the wellness industry. This design features cool blues, navy and greys, full width design with thin lines. There are detailed inside designs for services, testimonials, blog & shop layouts, mailing list subscribe and a 4 column footer. 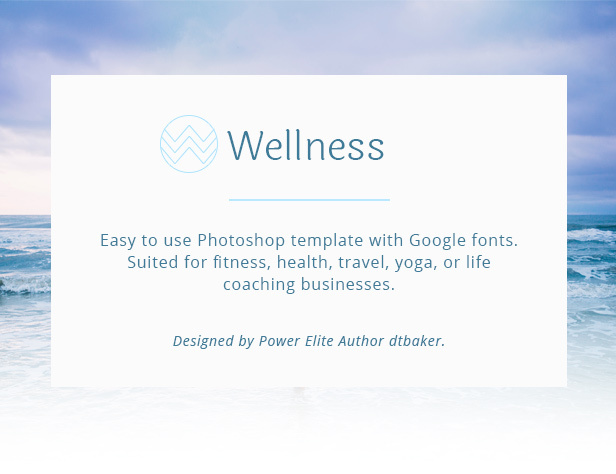 If you are in the life coaching, fitness, personal trainer, diet, physiotherapy, motivation, yoga, Pilates or alternative health industries, check out this template to get your new website design started.